Fracture packaging was designed to take a beating. Still, accidents can happen during transit on the rare occasion. So if your Fracture is ever, well... "fractured" (yes, we do hear it referred to that most of the time this happens), we've got you covered! The first step is to snap a photo of your packaging. 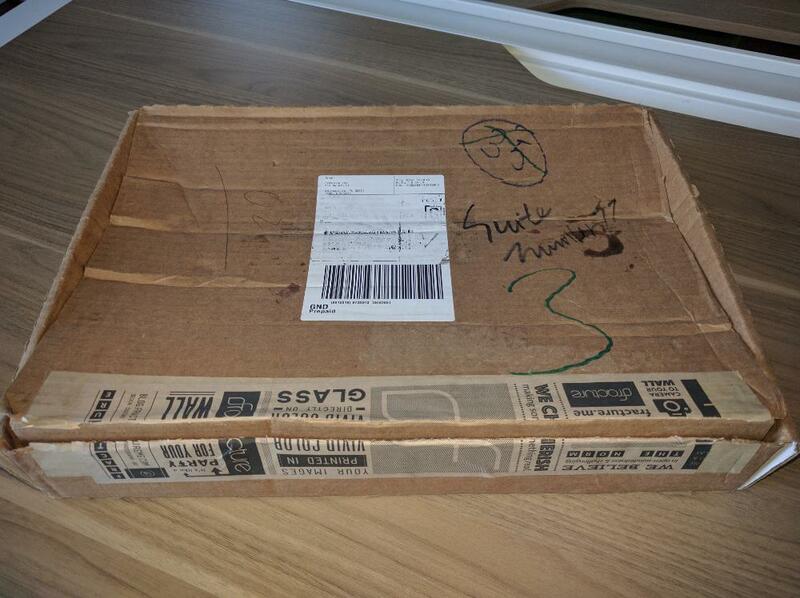 We love documentation to know how our packaging is holding up, and we also use the photos to provide feedback to our shipping carriers. Camera phones can do the job just fine! 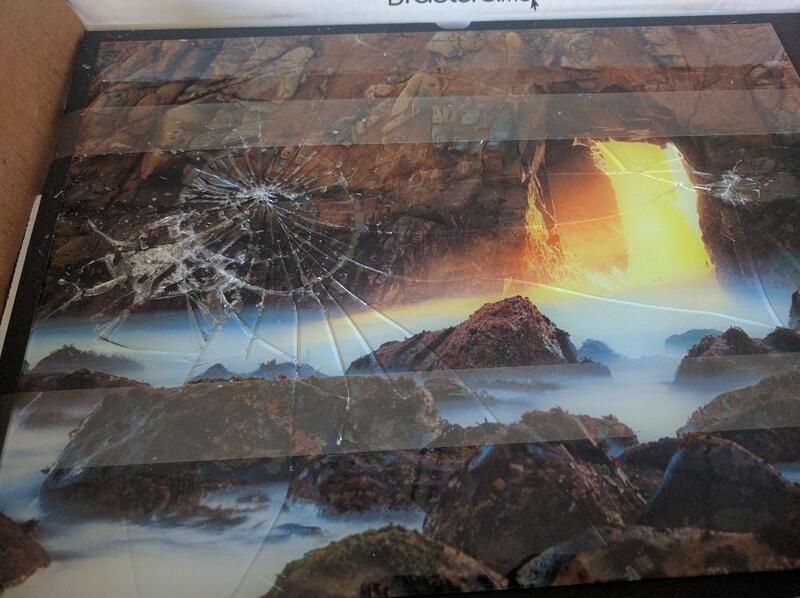 Next, you'll want to take a photo of the damaged Fracture. One or two images of the damage should suffice. For good measure please include one of the entire Fracture so we can identify which image was damaged. 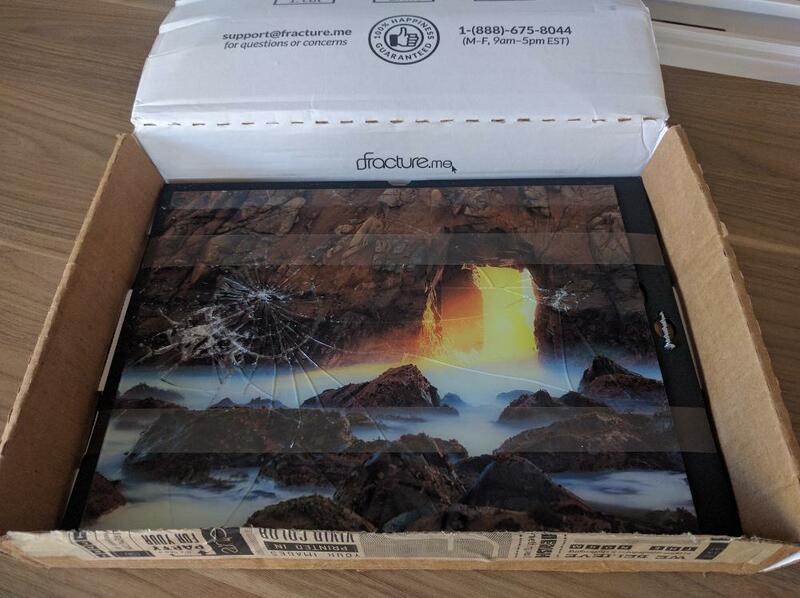 Send those photos along with your Order ID number over to our Fracture Customer Support Team at support@fracture.me and we'll get you squared away with a brand new Fracture replacement! We love to hear from you, and we will do whatever we can to make sure any issues get resolved ASAP.